Our aim is to provide the widest range of quality products for your convenience. Now stocking 108 brands, we are certain you will find what your looking for, just type the Brandname in the search field below then select from the list of Manufacturers Logos shown to see their entire product range. If you want to know about that Brand, simply click the about button. J. W. ROSS was established in the 1920s to act as a buying agent and distributor. 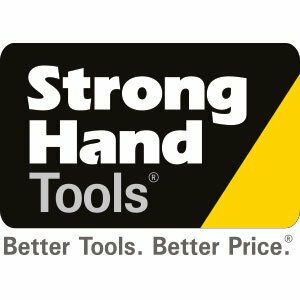 From its inception, the company has extended and refined its range into the extensive portfolio of hand and power tools that it offers its distributors today. An Australian company, JW Ross has established exclusive arrangements with a number of prestigious Overseas and Australian manufacturers of quality tools, and is currently able to offer products from over 60 different suppliers world-wide. 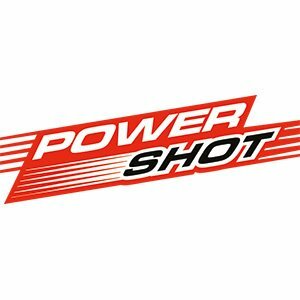 Our range covers brand-name hand and power tools that are key products in the engineering, industrial, automotive and DIY markets. The brands we represent include some of the best known in their fields. 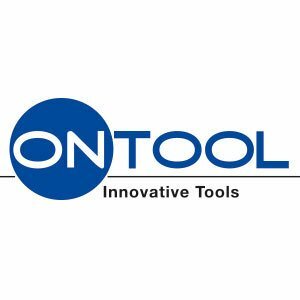 Our product portfolio includes hand tools, bench grinders, welders, compressors, generators, battery chargers, spot lights, air tools and tool boxes. We are well placed to provide product from traditional European, South African, Japanese and US suppliers together with extensive ranges of products sourced from newly developing areas in China. Our world-wide resources enable us to assist our customers with those special requirements that arise from time to time, and extensive stocks of core products are maintained in our warehouse to support our distributors. We are able to assist our resellers in the marketing of our range and to help maximise their profits, with sales representatives in all Australian states who are able to provide the level of expertise and care that our distributors expect. 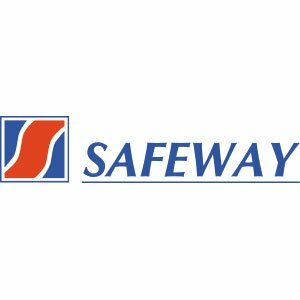 The database will be constantly updated with useful product information and links and so you might like to add this Web Site to your favourites for instant access. Actual Power Co., Ltd. is an expert manufacturer of angle-cutting band saws. With sophisticated design, our band saws are better than conventional models in terms of functions, fittings, and style. Available in multifunctional and economy series, our band saws rotate through 0~60 degrees, suitable for steel shaping. Using a hollow-shaft speed reducer as gearing to eliminate the axial load on the output shaft, our band saws are quiet, highly durable and steady, capable of high-efficiency cutting, much better than conventional models, which have output shafts with traditional speed reducer and thus suffer from saw blade's centrifugal force, leading to noise and short operating life. Our products feature an independent control box with a user-friendly, easy-reading LCD speed display, plus highly stable hydraulic feed and control circuit that effectively enhance the durability of saw blades, while concealing the oil circuit, with independent distribution box for a neat look and easy maintenance. Besides the U.S. and some European countries, we also plan to export to Eastern Europe and newly emerging markets. Insisting on "quality is our first priority and always try for the best", we will continue to develop even better, innovative band saws, making the "Actual Power" brand well-known and marketable globally. Air Command NZ was formed in 1988 as the family business- Sterling Wholesale Group, with over a century of combined experience in the compressed air and machinery field. 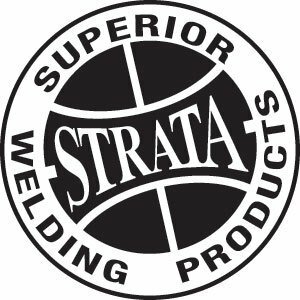 With such a solid grounding in pneumatic equipment the team at Sterling Wholesale formed its own registered house brand - Air Command, which quickly became a reputable marque in the New Zealand compressor industry, and later spread to the Pacific Rim. 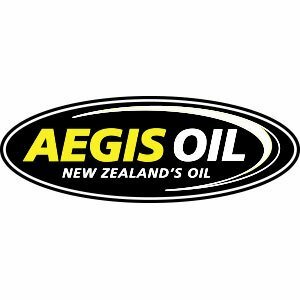 Air Command NZ now enjoys the No 1 market position in New Zealand with over 1000 distributors throughout the country, Australia and the Pacific region. 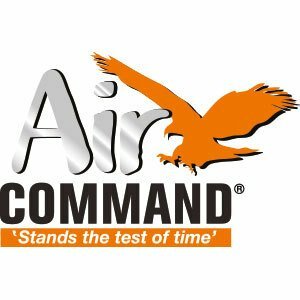 Air Command's goal is to become the country's most preferred brand of Air Compressors, air tools and related pneumatic equipment, with unparalleled quality and service support. 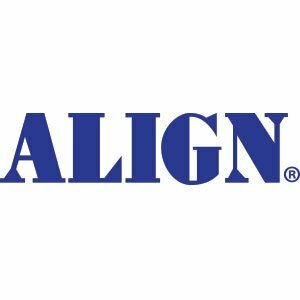 Established in July of 1984, Align Machine Tool Co.,Ltd. 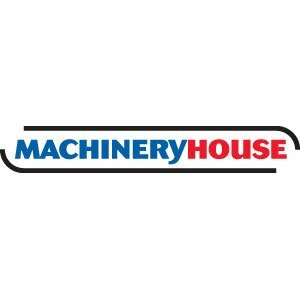 began as manufacturer of carbon brush motors,and later expanded expanded the product line to include milling machine equipment: Power Table Feed & Power Drawbar. In 1987 Align began R&D of Wet/Dry Vacuum Cleaners, with products popular-rized by the Japanese market. 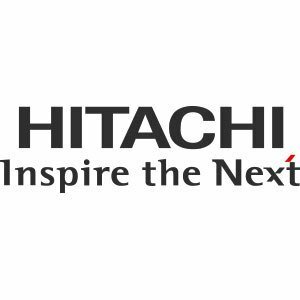 Align eventually established OEM/ ODM relationship with major Japanese brands Hitachi and Toshiba. With its technology expertise, proven product quality, attractive designs, and superior post-sale support, Align entered the Taiwanese domestic in 1995 as “Align Appliances” As its products gain praises from the customers, Align continued to secure OEM and joint-venture projects with numerous well know brand names, enabling the name “Align Appliances”to establish itself as a major player in the domestic market. By 2003, Align has broadened its product line from appliances,telecommunications, and information technology to radio control hobby products.“Align RC World” was the result of Align's shift into family recreational concepts, with products such as high performance radio controlled model kits, related electronics, and high efficiency model power system. Established in 1984, Frenway Products Inc. was built upon the aspiration to build and provide unrivaled first-class products that constantly set the standard in innovation, quality, and performance to meet the needs and dreams of businesses across-the-board. As a result, the AmPro brand, the product of our unwavering commitment to excellence, was born. 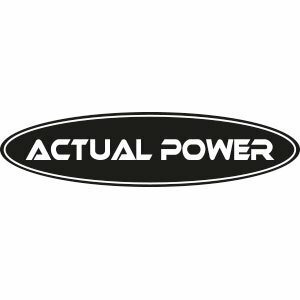 In order to meet the different and changing needs of businesses everywhere, we offer a diverse and extensive range of products including our AmPro, Metrix and MechPower brands. Each of our products is the result of customer-driven design, thorough product development and product sourcing. Our engineers perform stringent quality assurance and control to guarantee that our products meet the highest standards. A sides from providing our own brand of products, we also perform OEMs services for many customers worldwide. We have built long-standing relationships with our customers and guarantee your satisfaction, as our product development team assures the fulfillment of your company¡¦s desired specifications. Recognized not only for the superior quality of our products, we offer reliable service programs. We have equipped many of our customers, including manufacturers and importers across the globe, with programs that are specific to their needs and preferences. Our programs include custom packaging and dazzling artwork that ensures product marketability. Today, many of our customers depend on our performance and quality of service in providing their patent designs. 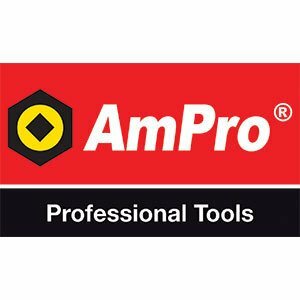 Backed by decades of experience and expertise in the automotive and hardware/construction industry, AmPro Tools Corporation has become widely acclaimed by businesses all over the world as a symbol of quality, precision, dependability and customer satisfaction. We value every one of our customers and believe in long-standing relationships. We look forward to providing solutions for your business needs to help your business achieve its goals. 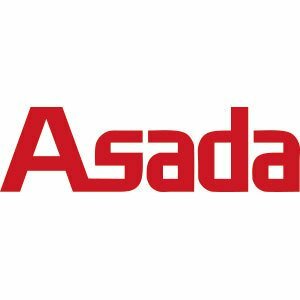 ASADA Corporation is aiming to make further growth in manufacturing and re-establishing engineering knowledge in manufacturing plumbing machines, tools and equipment related to environment protection as a total manufacturer under our slogan of "Dreams in Manufacturing and New Challenge"
Autosol has been a household name in Australia since its introduction in the 1980's. The familiar little tube has become a trusted and faithful companion to professionals, auto enthusiasts, DIYers and householders alike. Since the early days, the Autosol brand has extended its product range and now offers a wide range of surface care solutions, from the original chrome polish through to more specialised products like aluminium polish, stainless steel polish, fibreglass polish, leather cleaner and plastic cleaner. 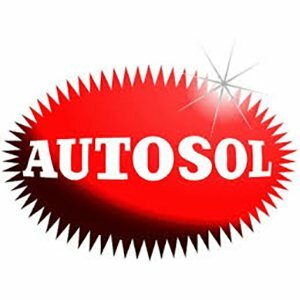 Autosol is used across a wide range of applications, including auto metal care, marine metal care, household metal care and industrial metal care. Autosol Australia is run by CMS International Pty Ltd. Situated on Sydney's Northern Beaches, we import Autosol products and distribute them through our Australia-wide network of wholesalers and retailers. 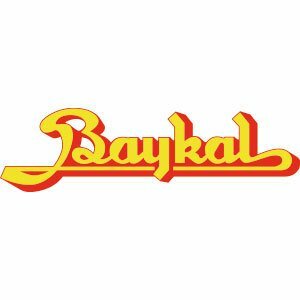 Baykal today stands as a leading manufacturer and global supplier of sheet metalworking machinery. 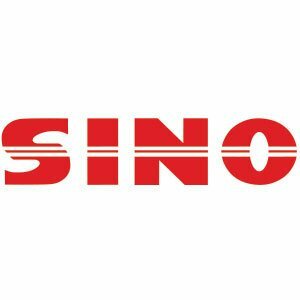 The company specializes in the production of hydraulic press brakes, hydraulic shears, CNC punching machines, CNC plasma cutting systems, mechanical guillotines, sheet folders, notching machines , and a range of spot and arc welding equipment. 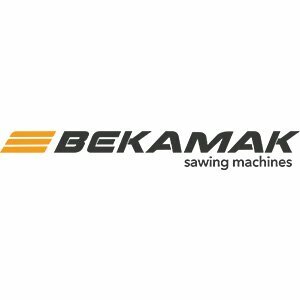 Beka-Mak, a family-owned business is the only manufacturer of two metal cutting processes - Hack and Bandsaws- as one of the leading manufacturer in Turkey has been established in 1984 We manufacture high quality Hack and Bandsawing Machines for the general use with a line of 50 different products. Our quality policy as Bekamak San. ve Tic. 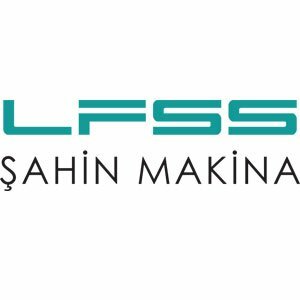 A.Ş is to have continuing improvement according to changing customer requirements, to supply correct product and accurate service with appropriate price and on-time delivery. To recognize technological trends and innovative design is one of the powers of our company. Founded 1945 Alexander Binzel Schweisstechnik GmbH & Co. KG early on specialized in the development and production of inert-gas shielded welding and cutting torches for MIG/MAG, TIG and plasma. Since that time many patented developments characterize the world of welding and cutting and put Binzel on an international standard. 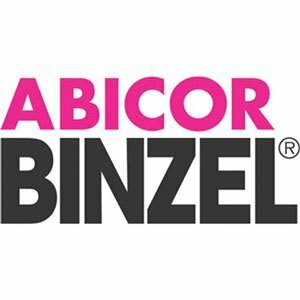 With more than 30 subsidiaries globally, more than 20 exclusive sales partners and over 800 employees worldwide the ABICOR BINZEL Group is represented in more than 50 countries. Our production plants are located in the headquaters in Buseck, near Gießen and in Dresden, as well as in the United States, Brazil, India, China and Russia. Products include tools, machinery, lifting and materials handling equipment, cutting oils and absorbents etc of only the highest quality suitable for the target market of industrial trade users. 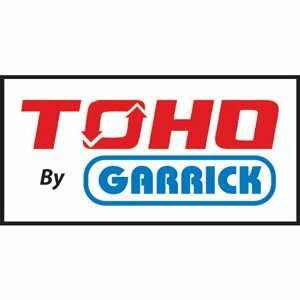 Produced by Garrick Herbert Pty Ltd, which was established in March 1981. Its parent company, R.R. 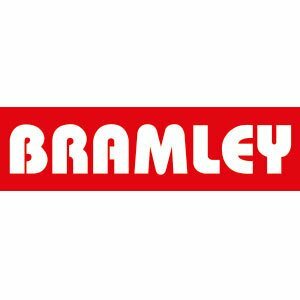 Bramley & Co. Ltd was founded in Auckland, New Zealand in 1921, production of the 'BRAMLEY' range of small engineering machine tools began in 1954. Exports of these products to Australia grew to the stage that they moved to Sydney to establish Garrick Herbert P/L as a local base for distribution of the range throughout Australia. To complement the Bramley range, agencies for allied overseas lines of quality product were introduced. Early additions were the Asada Threading Machines and Irega Adjustable Wrenches & both now market leaders in Australia. 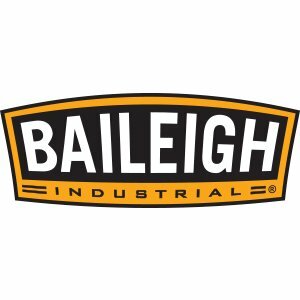 In 1987 manufacturing began with the introduction of 'Bramley" Aust Made' sheetmetal Curving Rolls, Following this success, the brand leader in Belt Grinding, LINISHALL, was purchased in 1991 and integrated into the Sydney facility. 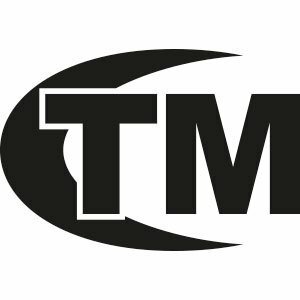 Now representing a diverse collection of reputable manufacturers from Australia, New Zealand, Japan, Spain, Turkey, Thailand, China and other countries and distributes their products through the Industrial Supply and Machinery Merchants throughout Australia. 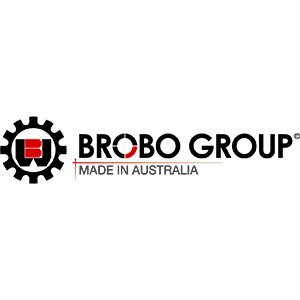 Established as a saw manufacturing workshop in 1947, Brobo Group Pty. 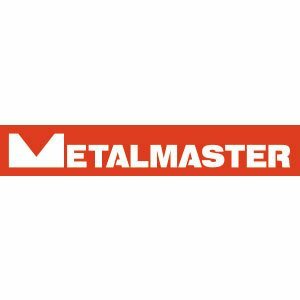 Ltd. has been progressively expanding their modest metal saw enterprise to be recognised as one of Australia's leading saw manufacturing companies. 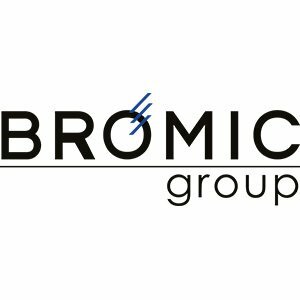 Here at Bromic we cater to both commercial and domestic customers in need of high quality gas and water plumbing supplies at competitive prices. Whether you need to buy a handful of accessories in order to finish a DIY project in the home or a large quantity of appliances for your business premises, we can help. As an ISO 9001 certified company, you can rely on us to adhere to exceptionally high standards at all times, not only with regard to the products that we supply but also the customer service that we provide. Our technical expertise with gas and water connection solutions is renowned across Australia and New Zealand. 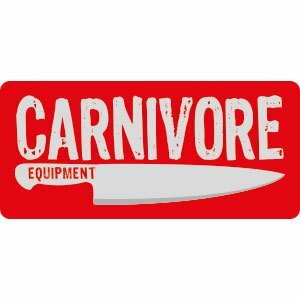 In addition to the wide range of hoses, adaptors, valves, sealants, lubricants and gas spares that we stock, you will also find stainless steel cooking appliances suitable for marine applications on our website, along with electric and gas heaters specifically designed for outdoor use. 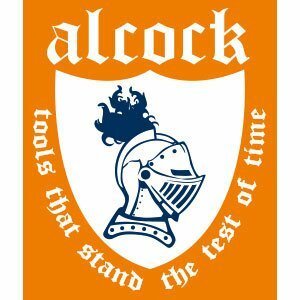 We sell a variety of attractively priced torches, cylinders and starter kits for soldering and light welding tasks, which are ideal for DIY enthusiasts. We also supply durable, high-performance welding and brazing systems that are suitable for tradespeople. 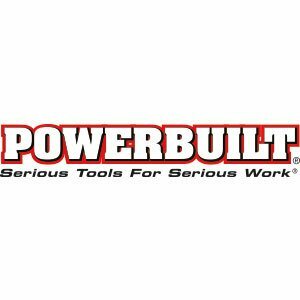 The BuildPro™ table is designed to increase welding productivity through use of a fast, accurate, and easy to understand modular fixture system. The patented BuildPro™ plate + slot + hole system allows users to place clamps and components at any point on the tabletop as required for each unique fixturing project. BuildPro™ is a fast, accurate, and easy to understand modular fixture system. Place a BuildPro™ Table in your shop, and you will discover how universal fixturing will benefit your operation in greater productivity, improved work quality, and reduced project lead times in prototyping, short production runs, or dedicated volume production runs. BuildPro™ has a place in every fabrication environment where precise layout and fast clamping setups help drive success; they have found their way into a variety of fabrication processes such as gluing, fastening, and assembly involving materials from wood to composites and laminates. 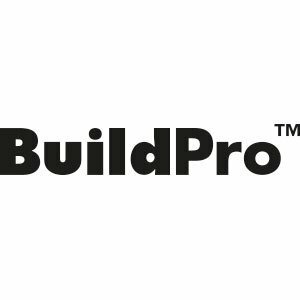 BuildPro™ pairs well with 3D modeling programs using our free downloadable CAD library and is especially helpful for creating a hybrid modular + custom fixture solution. A hybrid system saves storage space, fixture design time, and fixture production costs by enabling the user to create custom fixtures which index off the BuildPro™ grid system and interface with its modular fixtures. A hybrid modular-custom fixture solution takes the worry out of creating "dedicated" fixtures for short production runs where there are concerns about engineering changes, tooling expenses, or storage space. Hybrid modular-custom fixture strategies let you focus on getting those critical dimensions right and the work delivered on time. It’s now even simpler and faster to create prototype or low volume fixtures using 3D printers, wood/aluminum CNC milling machines, or CNC plasma cutters. Take advantage of the BuildPro™ table’s indexing functions by adapting hard automation equipment such as track mounted welding bugs or semi-automatic drilling stations to the table which can be quickly rearranged or moved as work dictates. Robotic Arc Welding equipment is becoming less expensive to acquire and easier to program and operate year after year, yet the cost of tool and fixture design has remained relatively static. Custom tooling and fixture design can easily double the upfront cost required to automate your welding processes and add planning bottlenecks and unforeseen costs during future product changes. Hybrid modular-custom fixture systems are an ideal way to keep startup costs low and retain a higher level of in-house control over the design and production process. For high mix, low volume operations in particular, hybrid modular-custom fixturing can offer a great balance between design flexibility and tool changeover speed while providing the precision required by automated systems. 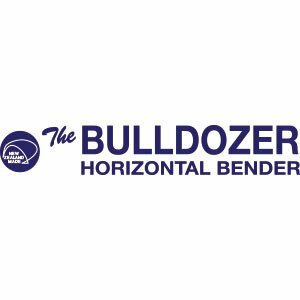 The Bulldozer Bender is an electrically driven hydraulically operated steel bender. A tried-and-tested design, it is very sturdily constructed and is fully powder-coated for durability and finish. It has been in production in New Zealand for 25 years with over 3000 units sold worldwide. The machine is primarily designed for bending flat steel bars. Suitable for tow-bar tongues, brackets, gate hinges, builders' hardware, and general metal forming. It has the ability to bend steel back on itself into a U-shape, making it suitable for forming around vehicle tail-lights or stirrups. The machine has quick changeover to a nominal-bore pipe bender. Also available is a light-gauge tube bending attachment suitable for up to 28mm OD tube. 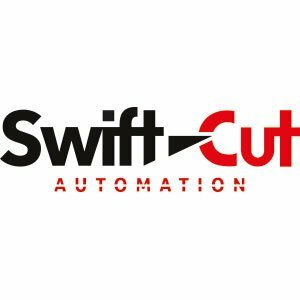 Our investment in new technology with CNC (computerised numerical controlled) equipment ensures our commitment to AUSTRALIAN MANUFACTURE and ultimate control in developing the highest reputation for cutting tool quality. 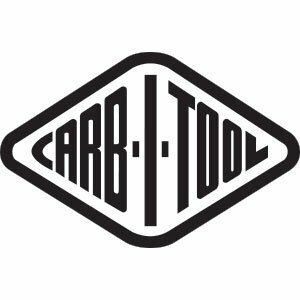 The combination of design and productive excellence means satisfaction when you order CARB-I-TOOL Router Bits. It is the aim of the company to employ its skills and resources towards the continuing needs and expectations of its customers. 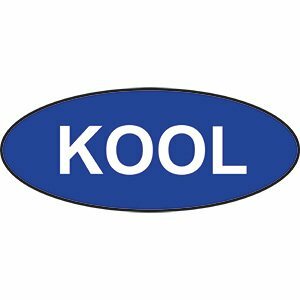 So as to maintain a reputation for excellence relating to the timely supply of competitive and affordable products. This is achieved through a commitment to ongoing quality improvement. 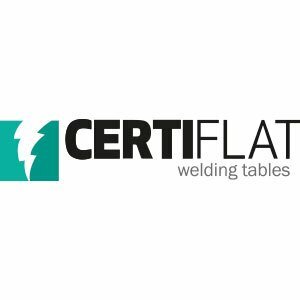 CertiFlat is our brand of welding tables and accessories. Who are 'we'? We're Tab and Slot LLC, a young & aggressive startup laser cutting company with big ideas. Our owner, Dave Iago; is an award winning mechanical designer with over 20 years experience designing consumer products and tooling in the power sports category. In fact there are over 100 pages of catalog space dedicated to his designs in all of the big books for ATV's. "If you're riding an ATV sold in the US in the last 10 years, there's either parts on it I designed or parts that came out of our fixtures" Dave said. By utilizing our proprietary tab and slot methodology in virtually everything we do we've been able to accomplish some very impressive things. In the recent past our focus has been tab and slot 3D weld fixtures, we're work holding experts. We've proven our methods and designs in the field for over 10 years now. Our tab and slot fixtures and table have literally produced ten of thousands of complex weldments in ISO 9000 environments. Our patent pending 'heat zone' tabs let us decide where the heat from welding goes and how it's going to affect the base metal. After surveying the market, we decided that there was plenty of interest in our do it yourself U-Weld kits. We launched our PRO series table in January on eBay and the response has been tremendous. Tons of folks have reached out and asked for more industrial tables and we've been building them. Now we're bringing fabBlock and fabWings to market to serve this need. 'I want everyone to have access to our high tech processes. My tube laser is your tube laser' Dave went on to say. At Tab and Slot we like to think of ourselves as 'The Peoples Laser Cutter', no job is too big or too small, and there's never a set up charge. We can work with napkin sketches, cardboard templates, CAD files, etc. We're hear to help! Call or Text us about your next project, you'll be pleasantly surprised. We have the excellent research team. In addition, we make hand tools with the ISO9001 standard. Continuing to research and improve the products has always been the company’s goal. 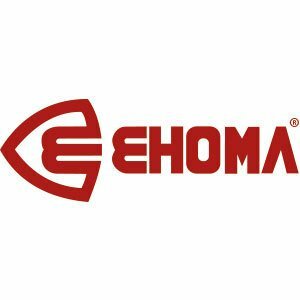 EHOMA has been making shears for almost 30 years. Italy, Japan, South Africa, Australia, and South America are the main oversea market. EHOMA also has been producing clamps for 22 years. We have a certain position in the world of professional hand tools. The quality and quantity of the clamps that EHOMA makes are globally considered one of the best. Clamps are sold to Europe, Australia, and North America. Especially in Australia our clamps are the best of the bests. As you are well aware, working with precision industrial machines, blades and tools significantly improves your opportunity to achieve top quality results for your business. Some operators expect first rate results from second rate equipment. Blades, cutters and other consumables are often a case in point. To the average eye, one looks as good as another yet can be worlds apart when it comes to performance. 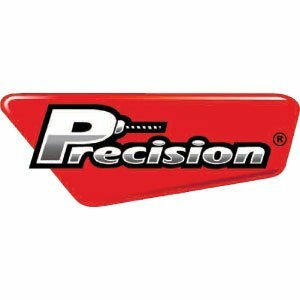 It takes dependable precision tools and machinery to create quality precision products. It’s about accuracy, durability, and maximum return on investment from equipment that produces precision products to the standards you and your customers expect. Better quality machinery and consumables translate into more cost effective operations. And when you deal with us, you will receive the finest technical support and industrial know how to maximise your output. It stands to reason: better tools increase productivity, improve profit margins and drive your dollar further. Best of all, you’ll have more customers who keep coming back for more. That’s precisely what true commercial success is all about: repeat business. Satisfied customers who keep coming back. 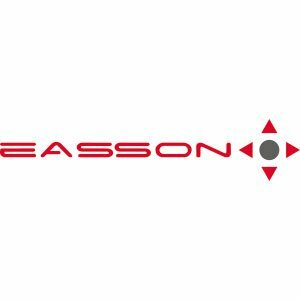 Excision is a supplier of premium industrial equipment and consumables, supplying a large network of distributors across Australia and beyond. We source high quality, high performance products from leading international manufacturers and value-add through additional manufacturing at our purpose-built factory. 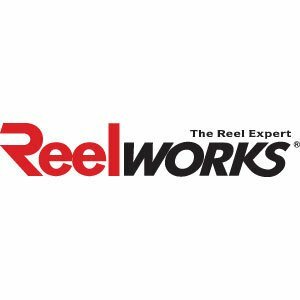 Our product line includes magnetic based drills, bandsaw blades, coldsaw blades, bandsaw machines, coldsaw machines, geared head drills, belt driven drills, fume extraction, laser level systems, core drills, holesaws and more. Established in the early 1990s, our business began by importing saw blades. In response to demand we were soon sourcing other products for our distributors and this led to the acquisition of a number of strategic companies and agencies. During this time we established a reputation for excellent customer service that continues to this day. 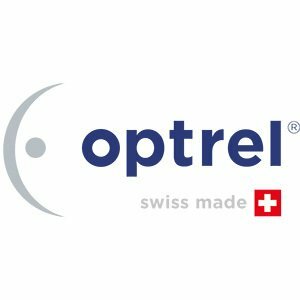 Over the years we have formed relationships with some of the world’s largest and most reputable brands, including Alfra, Allclear, Arboga, Beeline, Bianco, BTM, Kepp, Kreüz Tooling, Reisen, Rontgen, ScanGrind, Thomas and Transit Optical, choosing our suppliers with care so that we can offer the very best products available. Helping our distributors to be successful is the focus for everything we do. Our goal is to always provide them with quality, range and value for money – and our standards are high. We offer extensive warranties and a full back-up service including marketing materials, expert advice, training and sales support. Purchasing large volume equipment allows us to pass savings on. This means our distributors can offer the best possible prices to their customers, which in turn assists our distributors to achieve their business goals. Excision is a family business, fully Australian-owned and operated. Our team responds quickly to every request with fast and efficient solutions, every time. That’s why our distributors stay with us and why our business continues to grow. 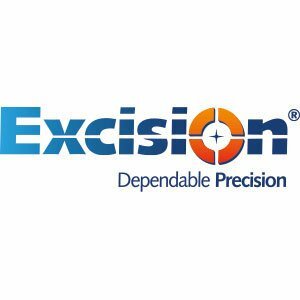 Excision is the preferred supplier of specialised industrial products and consumables, across Australia and beyond. 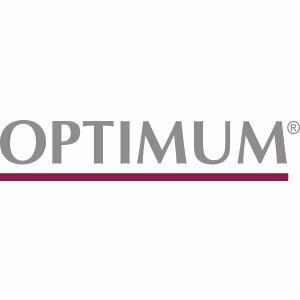 We offer our customers high-quality, high-performance products that exceed expectations, and support their business goals by providing superior levels of customer service and advice. 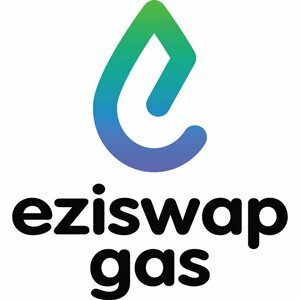 Introducing EZiSWAP GAS, the nationwide industrial gas cylinder swap system. Just purchase a cylinder from an EZiSWAP GAS distributor and you’re good to go. No rental fees, contracts, administration fees, or low usage charges. Swap and pay only for the price of the gas. No delay because there are pre-filled gas cylinders waiting for you. Well that’s EZi as! The filled gas cylinder you have received is yours until it’s swapped again. Another benefit is that we will take care of any cylinder testing requirements and maintenance. EZiSWAP GAS provides a user friendly industrial gas cylinder swap system that saves you money. 60 Years of Leadership in the Science of Corrosion Control. When the U.S. Navy needed to conquer the costs and delays of battling rust and corrosion in the ballast tanks of its thousands of combat and support vessels in World War II, an innovative West Coast chemist formulated a powerful weapon based on an unlikely ingredient: lanolin (wool wax). The savings were immediate. The costs of chipping, sealing and painting were greatly reduced. The new film penetrated corrosion and rust quickly. Application was simple. Protective action was long lasting and economical. 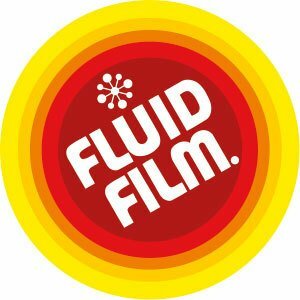 The weapon was Fluid Film®, produced in a variety of easy-use forms by Eureka Chemical Company. 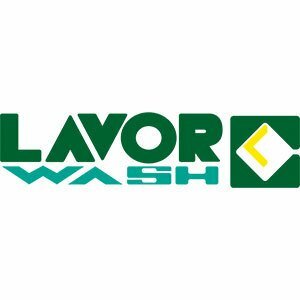 Operating since the early 1940's and incorporated in 1953, the company continues as a family-owned business managed by descendants of the founding chemist. From its first seagoing use in the 1940s, Fluid Film® has been proved in some of the most severe conditions; Industrial, agricultural, raw-terrain construction - even on the space shuttle. Modified over time to adapt to environmental and application considerations, it's non-toxic, non-hazardous, contains no solvents and is environmentally friendlier. Fluid Film® continues to serve as the most effective corrosion control for industry, farming, industrial and transportation. Fuerda Quality chucks, are supplied from one of the world's largest lathe chuck manufacturers. Precision scrolls, guaranteed accuracy. 12 months warranty. 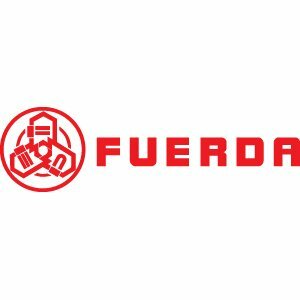 Fureda chucks are approved to ISO 9001-2000. The range includes K11 series cast iron body 3 Jaw Chucks, K72 4 Jaw cast iron Independant chucks and the High Precision Steel body GK-11 chucks. 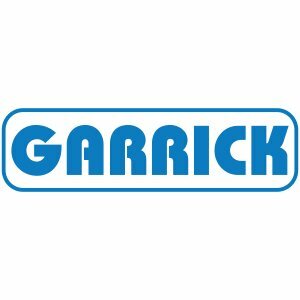 Garrick Herbert Pty Ltd was established in March 1981 as the newest member of the Herbert Engineering Group. Its parent company, R.R. Bramley & Co. Ltd was founded in Auckland, New Zealand in 1921 by Richard Bramley as an Engineering workshop. Philip Herbert purchased the company in 1954 and commenced production of the ‘BRAMLEY’ range of small engineering machine tools. Exports of these products to Australia grew to the stage that his youngest son, Myles Herbert, moved to Sydney to establish Garrick Herbert P/L as a local base for distribution of the range throughout Australia. To complement the Bramley range, agencies for allied overseas lines of quality product were introduced. Early additions were the Asada Threading Machines and Irega Adjustable Wrenches & both now market leaders in Australia. In 1987 manufacturing at the Sydney operation began with the introduction of ‘Bramley' Aust Made’ sheetmetal Curving Rolls. Following this success, the brand leader in Belt Grinding, LINISHALL, was purchased in 1991 and integrated into the Sydney facility. 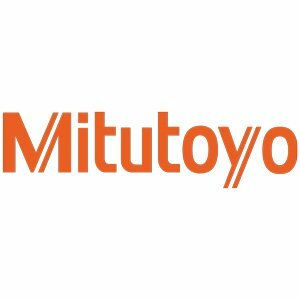 The company now represents a diverse collection of reputable manufacturers from Australia, New Zealand, Japan, Spain, Turkey, Thailand, China and other countries and distributes their products through the Industrial Supply and Machinery Merchants throughout Australia. 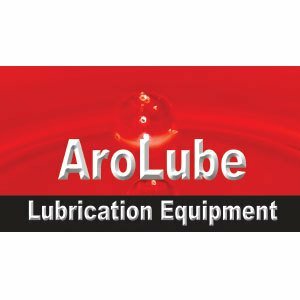 Products include tools, machinery, lifting and materials handling equipment, cutting oils and absorbents etc of only the highest quality suitable for the target market of industrial trade users. Company growth meant that, in December 2006, another move to premises four times the size was necessary and the current location was purchased at Kirrawee in the southern suburbs of Sydney. Gator is a world class producer of manual Lathe Chucks with over 30 years of manufacturing experience and production excellence. Chucks are also available in direct mount. The state of the art, ISO 9001-2000 manufacturing facility is quality focused. 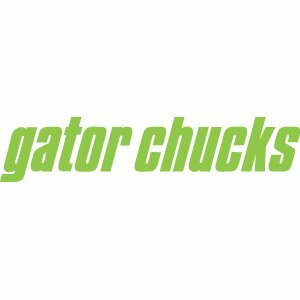 Gator chucks are built to last and are designed for precision machining applications. PS SERIES Semi Steel body are fitted with ONE PIECE jaws. Gulf Western commenced operation in 1988 as a joint venture between the Vicary Corporation and Pioneer Constructions, one of Australia’s largest companies and owners of Caltex and Ampol at that time. In 1999 the Vicary Corporation took over Pioneer’s stake in the company at about the same time that Pioneer sold it’s shares in Caltex / Ampol to Texaco in the USA. The Vicary family began to rapidly build the Gulf Western brand and invested heavily in product technology, quality systems and expanding production facilities. Peter, Ben and Andrew Vicary control the day to day operations of the company and are supported by a team of highly experienced technical, management and production staff, many of whom have been sourced from some of the world’s largest lubricant blenders. With in excess of 100 years of hands on oil industry experience the Gulf Western team is able to offer a high level of accurate support and personal service to it’s customers. 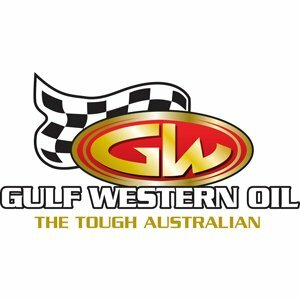 All Gulf Western products are formulated specifically for Australian and Pacific Rim conditions and are certified to the highest performance standards. No recycled oil is used in any formulations and all products are blended using API ( American Petroleum Institute ) approved additive packages. Gulf Western manufactures it’s lubricants in it’s own blend plant under an ISO 9001 quality endorsed manufacturing system. All Gulf Western products are backed by a Seal Of Quality and product guarantee. From a small company blending lubricants for the local market, Gulf Western has grown into a multi million litre organization with an extensive distributor network throughout all states of Australia, New Zealand, Fiji, New Caledonia and the Pacific Rim. The company is heavily involved in all types of motor sport including Nitro Drag racing, V8 Supercars, Club cars, Circuit boats and Bikes . Motor racing provides one of the most demanding environments possible to continually improve lubrication technology and component protection. Gulf Western is also proud to supply some of Australia’s largest farming, heavy industrial and mining clients who rely on GW lubricants to protect their heavy diesel and earthmoving equipment giving rise to the label…The Tough Australian. 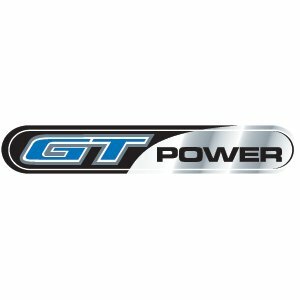 Gulf Western has developed a reputation “for problem solving” products, responsive personal service and very competitive pricing and continues to rapidly gain customer approval and market share. The company remains fully Australian owned and operated by the Vicary family. 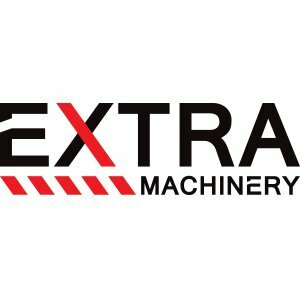 One of Australia's largest variety of machine tools and workshop equipment to suit just about any application, we dare you to take a look. Like the Hafco Metalmaster range, an extensive variety of woodworking tools and machinery for anyone, from the home handyman to the kitchen builder... its all here. HAIMER is a medium-sized family business located in Igenhausen, Germany. We develop and produce innovative ultra-precision tooling and machines, primarily in the field of machine tools. Our range comprises tool holders, balancing machines, 3D sensors, centering tools, and inductive shrink machines and accessories. A staff numbering approximately 270 is working for HAIMER worldwide. About 220 are employed in our production plant with state of the art machinery, a high degree of automation and sound production methods. High quality requires a skilled staff. HAIMER educates its staff in house through our 3 year apprenticeship program in order to ensure a highly qualified team for the future. At the moment, we employ about 30 apprentices in different technical and commercial professions. As the market leader in Germany, the continuous technological innovations of our industry leading products is very important for us, for this reason we annually invest 8-10% in research and development. With this budget, we can afford our own product development team, which constantly works on practical innovations and continual product improvements. With our six subsidiaries, “HAIMER USA” in Chicago, “HAIMER Asia Pacific” in Hong Kong, “HAIMER Trading Co.Ltd.“ in Shanghai, “HAIMER Korea Ltd.“ in Seoul, “HAIMER Spain“ in Barcelona and “HAIMER India“ in Pune, we globally act in every world market. These six sales- and service- subsidiaries guarantee the first class HAIMER service and specific customer orientated product consultation worldwide on the spot. In spite of our international activities and distributions, all products are solely produced in Igenhausen, Germany. Customers from all over the world, appreciate the consistant high HAIMER quality, which you can always rely on. 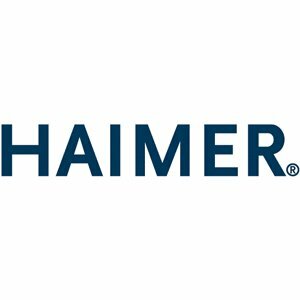 HAIMER was founded in 1977 as a one-man business. Until 1990, we functioned as a supplier of high-tech products, supplying, among others, the aviation and space industries, research institutes and the military technology sector, for example for projects for satellites and automobile airbag technology. 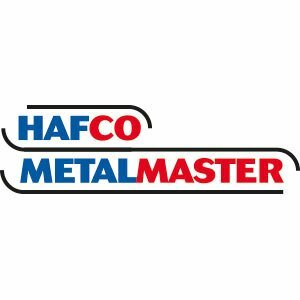 Since 1990 HAIMER has produced tool holders, and today the company is the market leader in Germany and is also internationally recognized in the field of ultra-precision tool holders and special machines designed for specific applications. We focus on precision and top quality at marketable prices. Our strength is a cost-effective series production: instead of costly special solutions, we offer a wide range of standard products with flexible applications. Innovative production technology means that we can offer unbeatable value for the money. Together with our customers, we want to continue to strengthen our market position in the future, in accordance with our corporate philosophy: Quality wins! 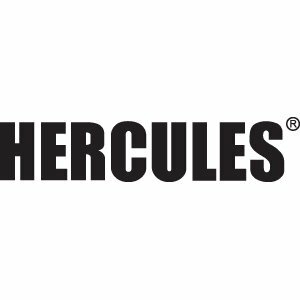 Hypermax Online was established in 2001, by parent company Earlbeck Gases & Technologies, to accommodate the needs of our Hypertherm customers. Because our customer services representatives have attended and completed Powermax Systems Sales Training at Hypertherm's facility in New Hampshire, we are able to offer you knowledgable advice on plasma cutting machines and consumables. Don't see a particular plasma cutting part or plasma cutter listed? Call our Hypertherm consultants at 410-687-8400 for fast informative service, we will be happy to assist you with ordering, shipping specifications and limited tech support. 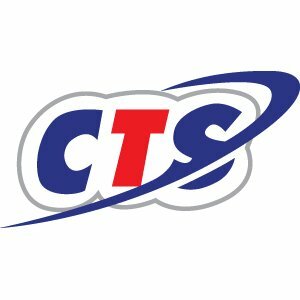 Our Customer Service Department hours are 07:30 to 05:00 E.S.T. We profile the most commonly used Powermax Machines and Hypertherm Consumables for your Hypertherm plasma cutting needs. We have a large inventory of Hypertherm parts and offer our customers convenient secure on-line purchasing options. What ever your needs, rest assured that you will be getting only Genuine Hypertherm quality. Don't settle for imitations! costs, highest quality and maximum productivity. Remember, anything other than Hypertherm, just doesn't cut it! We have taken great strides in applying competitive discounts at our online ordering facility. 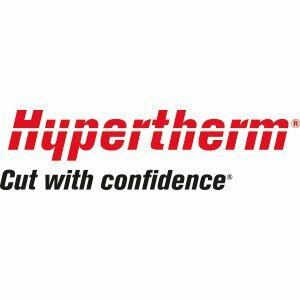 At Hypermax, we believe you shouldn't have to settle for less than Genuine Hypertherm Quality because of affordability. Jamec Pem is one of Australia’s leading brands and manufacturers of compressed airline fittings, tyre inflation and air tool equipment. It is a wholly owned division of Primus Australia Pty Ltd.
Jamec Pem is an Australian brand that has been manufacturing since the 1930’s and has established a strong reputation for product quality and innovation. 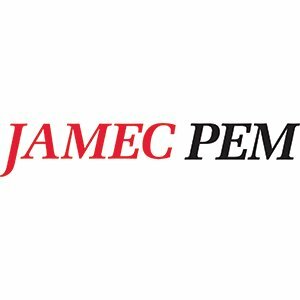 With market leading products such as the 310 series couplings and the TDR series tyre inflators, Jamec Pem is committed to Australian manufacturing, ongoing product and market development along with a dedication to exceptional customer service. Kennametal delivers productivity to customers seeking peak performance in demanding environments by providing innovative custom and standard wear-resistant solutions. This proven productivity is enabled through our advanced materials sciences and application knowledge. Our commitment to a sustainable environment provides additional value to our customers. Kennametal’s portfolio of well-respected brand names and broad global presence enable us to help customers of all sizes in virtually every geography drive success at every stage of their value chain. Strategically aligned across our two core businesses - Industrial and Infrastructure - our products and services touch nearly every manufacturing process. People around the globe can see and touch these results throughout many aspects of their day, from the light switch they turn on to the car they drive. We are where our customers need us to be. Quick, thorough response to customer needs has been a key component of Kennametal's success. The application experts who make up our field sales force work directly on the customer shop floor, at the mine face or on the construction site to solve problems and increase productivity. Kennametal's real-time, on-line customer service system provides instantaneous information on global product availability, order status and application solutions. 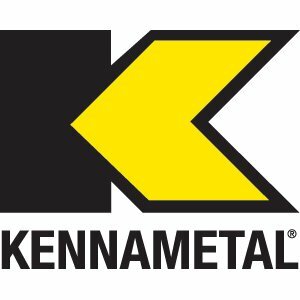 Continued global growth organically and through acquisitions is a key strategy for Kennametal. Acquisitions in our core businesses are conducted according to a disciplined process that is part of KVBS. Recent acquisitions enable us to enhance our technologies to better engineer our customers’ competitive edge. Kyocera Asia Pacific provides Kyocera's cutting edge quality products for the unique requirements and needs of our customers in the Asia Pacific region. 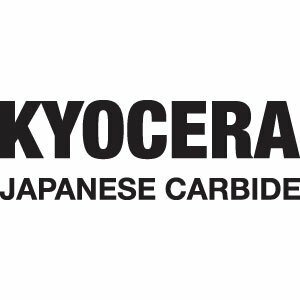 Kyocera Asia Pacific sales offices are established in Singapore, Hong Kong, Taiwan, Philippines, Thailand, Malaysia, India and Vietnam. The Asia Pacific headquarter was appointed in Singapore in 1998. 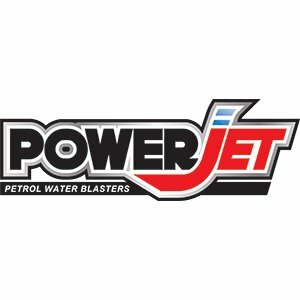 In Australia, we sell an extensive range of Pressure Cleaners (Waterblasters or Steam Cleaners) with a representative range of Vacuum Cleaners, Spray Extraction (Carpet Shampoo) machines and Sweepers. The range of Pressure Cleaners offered spans a machine for the home use, to the Tradesman to large hot water machines for the toughest environments. Garrick Herbert Pty Ltd was established in March 1981 as the newest member of the Herbert Engineering Group. Its parent company, R.R. Bramley & Co. Ltd was founded in Auckland, New Zealand in 1921 by Richard Bramley as an Engineering workshop. Philip Herbert purchased the company in 1954 and commenced production of the ‘BRAMLEY’ range of small engineering machine tools. To complement the Bramley range, agencies for allied overseas lines of quality product were introduced. Early additions were the Asada Threading Machines and Irega Adjustable Wrenches – both now market leaders in Australia. In 1987 manufacturing at the Sydney operation began with the introduction of ‘Bramley – Aust Made’ sheetmetal Curving Rolls. 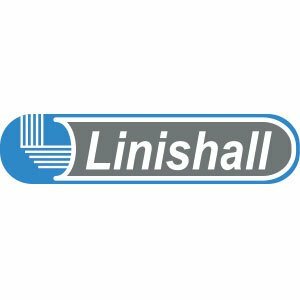 Following this success, the brand leader in Belt Grinding, LINISHALL, was purchased in 1991 and integrated into the Sydney facility. 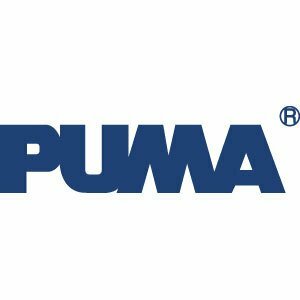 The company now represents a diverse collection of reputable manufacturers from Australia, New Zealand, Japan, Spain, Turkey, Thailand, China and other countries and distributes their products through the Industrial Supply and Machinery Merchants throughout Australia. Products include tools, machinery, lifting and materials handling equipment, cutting oils and absorbents etc of only the highest quality suitable for the target market of industrial trade users. Company growth meant that, in December 2006, another move to premises four times the size was necessary and the current location was purchased at Kirrawee in the southern suburbs of Sydney. 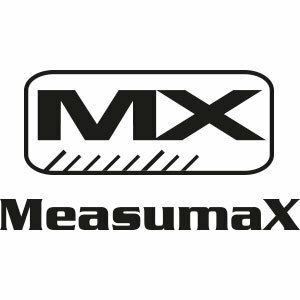 MeasumaX is a supplier of precision measuring instruments. The employees include highly trained staff consisting of, engineering, sales and inspection technicians who are committed to maintain a high level of quality control and product design. 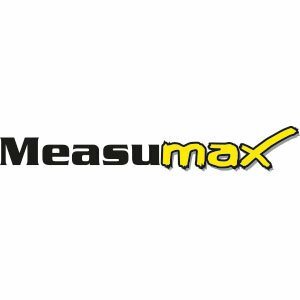 The MeasumaX range is designed for apprentices and the DIY market. 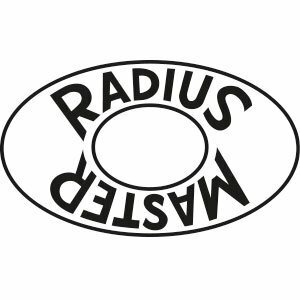 MeasumaX has a large comprehensive range suitable for all applications. All MX products are produced strictly in accordance with ISO & DIN standards. MeasumaX provides the consumer with back up service along with a friendly local dealer network. The range provides the consumer with an industrial product at a reasonable price. Sold for more than 15 Years, these belt & disc linishing attachments are one of the industry leaders complete with a 3 Year Warranty. At the right price, with the reliability. 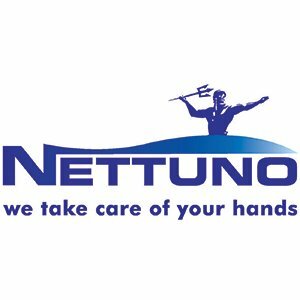 Nettuno's fame and prestige result from over forty years of experience in manufacturing professional hand cleansers. Nettuno offers different types of products: pastes, creams, gels, liquid soaps, bactericidal soaps and protective creams. For each line, specific products have been designed and perfected for different uses. The high quality of our products and their excellent value for money allowed Nettuno to expand successfully all over the world. 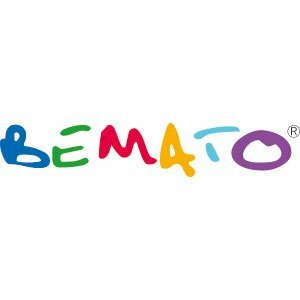 Founded in 1970 by Battista Fratus with great entrepreneurial spirit and the invaluable help of his wife, Nettuno has, in the last 40 years of activity, reached leadership status in Italy in the "Skincare" sector winning important markets both inside and outside Europe against several top competitors. 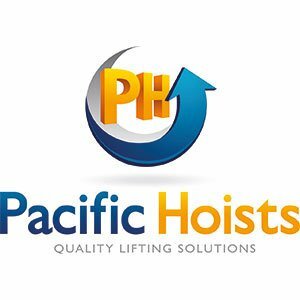 Pacific Hoists is an Australian Company, privately owned by the Herbert family. Australia's leading provider in Lifting and Materials Handling Solutions. 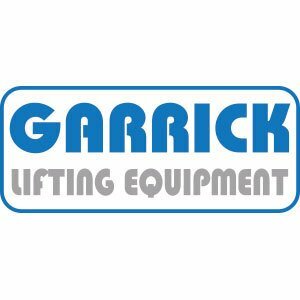 Supplying a wide range of stationary and portable lifting aids from Wire Rope Hoists to Heavy Duty Winches, Trolleys to Electric Chain & Air Hoists, Decanting Cradles to Skates. Need a lift?..... then Lift and Shift with the Best. All Pacific lifting equipment is designed and manufactured to conform to Australian and International standards (where available) and is approved by all relevant authorities. Compressed air is second nature to us at PneuTech New Zealand. It stands to reason when you consider our decades of industry experience. We continue to educate our highly skilled team of sales and customer service staff with the latest global developments to ensure that our customers are supplied with the most up to date and efficient compressed air solutions. Pneutech Group is actively involved in supplying compressed air solutions to small and very large industries across the world, and offers you superior experience, superior products, superior pricing and superior service – not found in any other compressed air organization. 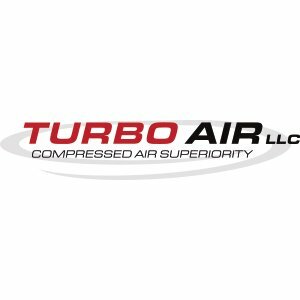 As a compressed air specialist, our philosophy is to provide your business with a complete compressed air solution that not only works, but exceeds your expectations by helping develop your industry in a responsible manner. 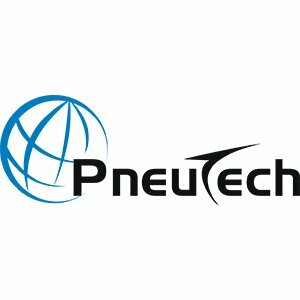 With such international connections, PneuTech Group has the performance and integrity that only comes from personal commitment combined with global resources to provide a truly innovative and flexible solution for your application. Having strong synergies, with world-leading manufacturers, we bring you the most direct-from-factory and competitive pricing in the industry and with unparalleled service support available 24 hours a day, 365 days a year. As we are here for the long term, we share your concern to care for creation and so our focus is to help you conserve energy, reduce waste, and lower carbon emissions while operating in a safe and healthy environment. “Your Global supplier for Compressed Air Equipment”! Australian trade professionals have come to know that the promise of quality and durability in a range does not alone assure a job well done. 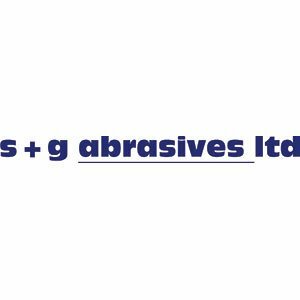 Since 1994, Premium Abrasives has completed the service circle by filling in the gaps, and grown successful on it. 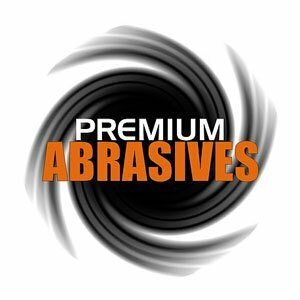 Premium Abrasives offers national product supply, outclassing value for money, support and customer satisfaction offered elsewhere. Our 'Always in stock' policy means your order arrives where you want it, when you want it. A real commitment to strengthening relationships and maximizing growth potential keeps regular customers returning to Premium, and new business knocking. Along with being an Australian-owned company, they're all assets we're proud of. 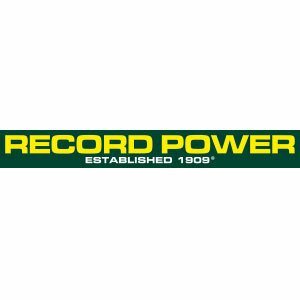 The Record Power head office, large showroom and distribution centre is now based in the heart of the UK at Staveley, a few short miles from our Sheffield roots and very close to junction 29A of the M1. Some of our staff have been with us for up to 40 years, ensuring we still retain and pass on our in-depth knowledge and expertise in hand and machine tool manufacturing and use. This gives us the distinct advantage of being able to continue to design, develop and source a comprehensive and wide ranging selection of premium quality products to meet the needs of discerning woodworkers. We work with carefully selected trading partners from the UK, Europe and Far East to provide the best quality products possible as well as continuing to manufacture some products in the UK. 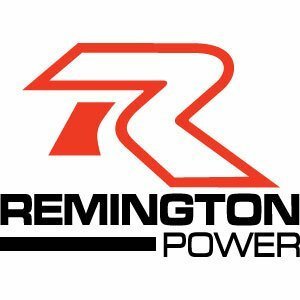 Remington Power Heaters in New Zealand. Remington heaters are diesel and multi fuel capable and range from 70,000 BTU to 220,000 BTU and both radiant and forced air style heaters Remington has the best range in New Zealand. Remington has launched the 2016 range with new patented 'Dual Fusion' technology a innovation that gives you approx 50% reduction in noise, cleaner combustion and true variable heat. 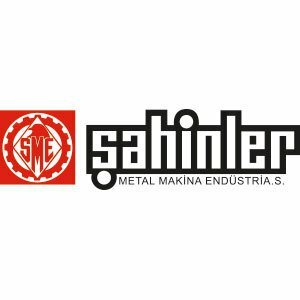 Şahinler started in a small factory in Turkey, in 1953, investing in a lathe machine to produce textile machinery in 1958. Sewing machines followed to be our next production in 1960 and finally started production of sheet metal machinery with their well known drilling machines. Today the 20,000m2 factory with 2OO+ staff, produces 3 and 4 Roll Hydraulic Plate Bending Machines, Section, Bending Rolls, Hydraulic Steelworkers and Punching machines, Hydraulics Presses. 80% of the production is for export sales and the remainder is for the local market. All machines are suitable for CE regulations and conform to ISO 9001-2000 certificate. 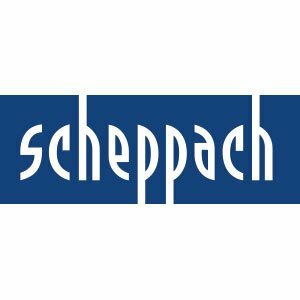 Scheppach is Europe's most innovative producer of woodworking machines, having introduced around eighty new models since 1997. For more than 80 years our designers, technicians and engineers have thought about "tomorrow" so that Scheppach is always that one step ahead of our competitors. That is what makes the difference when you buy Scheppach. We call it progressive forethought. 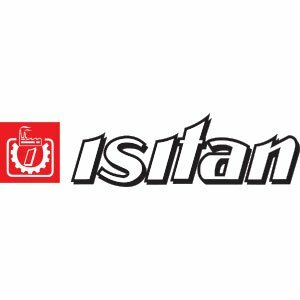 Following the introduction of our Quality Management System our standard of technology is confirmed with certification DIN EN ISO 9001. The foundation of our new product development derives from the demands of our customers, which we convert - after careful research - into reality in a record time of four to six months. Because we listen to what our customers tell us, and combine their input with our own expertise, Scheppach machines are noted for incorporating all those finer details which generally do not come in a standard machine specification. Inspect our machines closely and you will immediately recognise Scheppach quality. ATTCO is the leader in providing ergonomic, industrial and safe lifting devices to companies around the world. Offering you a cost effective solution to all of your safe lifting requirements, our “Sky Hook” ergonomic equipment helps prevent serious back injuries and lowers your financial burden. In addition, a Sky Hook lifting device will start saving you money the first day it’s on the job. Your employees and customers will love how easily it lifts machine parts and all other heavy items. 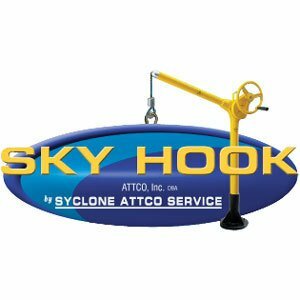 For over 40 years, USA-made Sky Hook Industrial Lifting Devices have been serving a wide variety of industries. Cost effective and more flexible than a forklift, overhead crane, or chain hoist, ATTCO’s ergonomic, industrial and safe lifting devices can lift a 400-pound load on to or off a machine with ease. This method of ergonomic lifting reduces workplace injuries and makes your operation more efficient. If it typically takes four employees 15 minutes each to help someone else move a heavy load, production suffers. Not so when you use a Sky Hook. Lifts up to 500 lbs. Rotates 360° and operates with one hand! Founded in 1979, SOCO is one of largest manufacturer of CNC machine in worldwide. From establishment of business, SOCO dedicated Circular Sawing Machine ( Cutting Machine ). In order to raise competition, SOCO developed Tube Bending Machine ( Tube Bender ) , Chamfering Machine ( Tube End Finishing and Facing Machine ) and End Forming Machine. 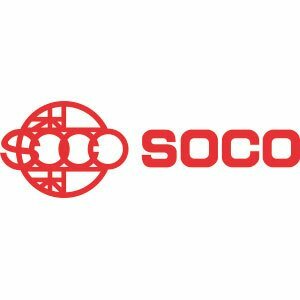 As the founder and leader of this industry in Taiwan , SOCO has built its reputation by offering advanced technology and unsurpassed machine performance. As the leader of CNC machine maker, SOCO has strong experience by building firm partnerships with its partners and customers around the world, Since SOCO always listen from partners, and provided pioneering machine design, functions, extreme quality, customer service and management. 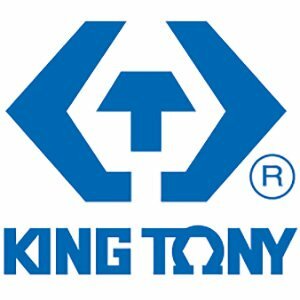 Headquarters is located in the Taichung Industrial Park with account management, R&D center with engineering services ( Partners ) in Taiwan; China, USA, Germany, Ukraine, Russia, Finland, Sweden, Turkey , India, Thailand , Japan and Australia¡K..etc, Fac.2 is the tooling process center. Fac.3 will be starting the production from 2007 with twice capacity than now. The L.S. Starrett Company was founded 1880 in Athol, MA, which is still the Company’s World Headquarters. Our founder, Laroy S. Starrett invented the combination square in 1877. He started the company to manufacture this product. The company grew rapidly with a broadening product line, additional employees and penetration into an increasing number of markets. Starrett has a history and reputation so rich and solid that the words “quality” and “Starrett” have become virtually synonymous. Today, the company employs about 1,800 people worldwide. Most precision tools continue to be manufactured in the Athol plant, where it is not uncommon to see devoted generations of toolmakers with 30 or more years of experience. 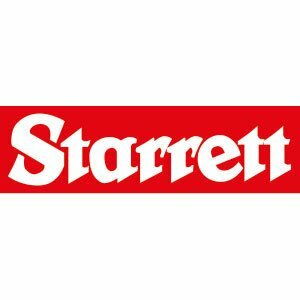 While best known for precision tools in the United States, Starrett is also a major, worldwide manufacturer of saw blade products. The saw blade product group includes three categories. Band saw blades are used primarily in manufacturing facilities. 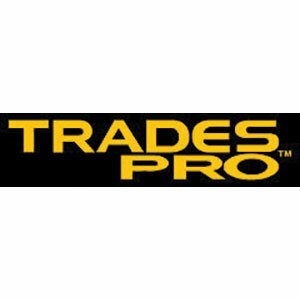 The Power Tool Accessories and Hand Saws group include hole saws, jig and reciprocating blades and hacksaw products. The jobsite and workshop group includes tape measures, levels, protractors and other tools used primarily on construction jobsites and workshops. Starrett tools are essential for the many products that are measured, cut, formed or assembled. They are used in a broad range of manufacturing facilities as an essential part of metalworking, the manufacturing of durable goods, for working with exotic materials and in a wide variety of traditional and newer industries such as electronics, aerospace, energy and many others. 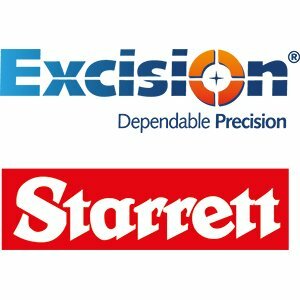 Starrett products are sold throughout the United States and worldwide through distributors, dealers, and retailers and online. 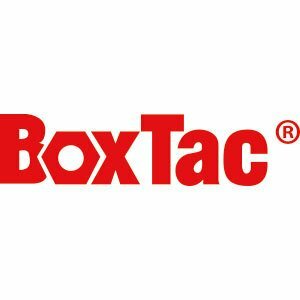 In recent years, the Company has broadened its product offering through acquisitions and innovative product line expansion. Today, Starrett has eight manufacturing locations worldwide: Brazil, The U.K. and China and five in the United States. See Manufacturing Facilities Worldwide for more detailed information. Annual sales of the company are in the vicinity of $250 million and the company is traded publicly on the NYSE. all are not created equal! demands of the welding professional. Valtra, Inc. is the parent firm that designs, manufactures, and distributes Strong Hand Tools® Welding Clamps, Magnets, and Pliers, Good Hand™ Toggle Clamps and Latches, and Valtra™ Machine Parts, Tooling Components, and Fasteners. Established in 1983, Valtra was built on one guiding principle: Design TIME SAVING, INNOVATIVE TOOLS that save our customer’s time, and therefore, money. Our new product development is on-going and is driven by customer demand stemming from real-life workplace applications. All of our new products are test marketed by industry professionals to ensure that they truly represent a value in terms of cost, quality, and functionality. Our tools are specifically designed to outperform any other tool in the marketplace. Valtra, through the Strong Hand Tools® product line, invented the: Patented Adjust-O Magnetic with the ON/OFF switch. Patented 4-in-1 Clamps that adapt to perform four different applications. Patented Shark Clamp with the exclusive Quick Acting Button that allows threads to slide in and out for the FASTEST setup you can achieve with a manual clamp. The Sumitomo business was started in Kyoto, the historic capital city of Japan, nearly 400 years ago by Masatomo Sumitomo (1585-1652) and Riemon Soga (1572-1636). Masatomo is regarded as the spiritual founder of the Sumitomo Group. Following an early career in the Buddhist priesthood, he established a shop in Kyoto that sold medicines and books. In accordance with the custom of his time, Masatomo produced written teachings for his household and disciples. One volume of these, which provided advice on the conduct of commercial activity, has come to be known as the "Founder's Precepts" and is the basis of code of conduct, still today, for the Sumitomo Group of companies. Riemon, who was a disciple and brother-in-law of Masamoto, was the technological pioneer who set the Sumitomo business on the path to commercial success. Having studied copper refining, Riemon established the Izumia copper business in Kyoto in 1590. Until the late 16th century, Japanese copper merchants did not possess the technology to extract the silver contained in copper ore, which compelled them to export the ore with the silver intact. By learning and perfecting Western smelting methods, Riemon engineered a revolution in Japanese copper refining. The Sumitomo business was continued by Riemon's eldest son, Tomomochi (1607-1662), who entered the Sumitomo family through his marriage to Masatomo's daughter. Tomomochi moved the copper smelting business to Osaka, Japan's commercial capital at the time. One of the epoch making events in the early days of the Sumitomo family was the 1690 opening of the Besshi Copper Mine on the island of Shikoku, across the Seto Inland Sea from Osaka. The Besshi Copper Mine was extremely productive and profitable, right up to the early 20th century. 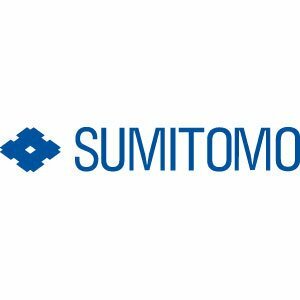 Consequently, it played a pivotal role in the birth of many core companies of the Sumitomo Group today. In 1891, Sumitomo formulated its Business Principles, which are based upon the "Founder's Precept" by Masatomo. Article 1 explains the necessity of acting in good faith, in order to maintain the other party's trust. Article 2 urges that social trends should be studied in order to meet social changes with active responses. Article 3 advises against being attracted to easy profits or hastily drawn to the promise of profits before fully investigating the commercial viability of ventures. 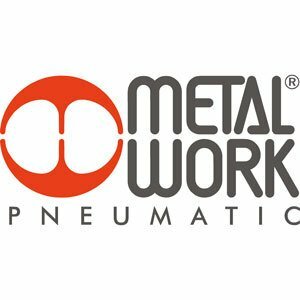 Sunrise Fluid Power Inc. has been specializing in the product lines of hydraulic ironworkers, punching machines, bending machines, cylinders, and other hydraulic equipment for 20 years. Sunrise is ISO-9001 certified by BVQI, and its products meet the safety requirements of CE regulations. Total customer satisfaction is their number one goal, and they are dedicated to research and development. Currently Sunrise has the broadest range of models in ironworkers and punching machines than any other manufacturer. Sunrise global sales network covers markets in near 50 nations around the world, including Europe, Australia, North America, Southeast Asia, Middle East, and many others. 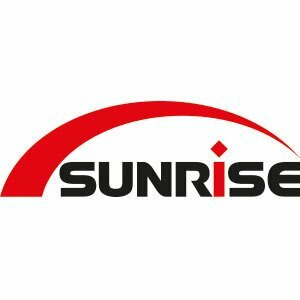 Today, Sunrise has become one of the leading brand in this industry. 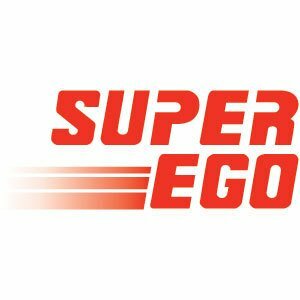 SUPER EGO BRAND products are manufactured in three modern production centres located in the Province of Vizcaya in Northern Spain and distributed by ROTHENBERGER group companies and associated non-group trading partners around the world. 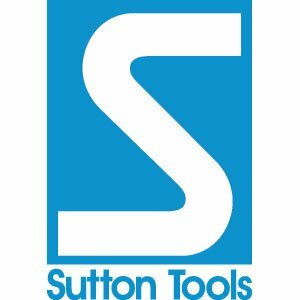 Established in 1917, Sutton Tools is one of the oldest family businesses in Australia. 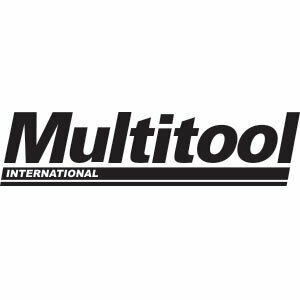 With global manufacturing Sutton Tools is one of the largest family owned cutting tool companies in the world. 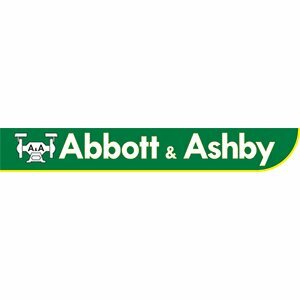 We produce over 17,000 line items including Drills, Taps, Endmills, Countersinks and Holesaws together with a wide range of power tool accessories to service Tool & Die, Aerospace, Automotive and General Engineering Industries. Sutton Tools has a long standing commitment to our employees and partners. We have a highly focused team of 450 people who are dedicated to produce and deliver our globally competitive program of high value products. We continue to expand our business and produce ever higher levels of specifications that exceed market expectations. 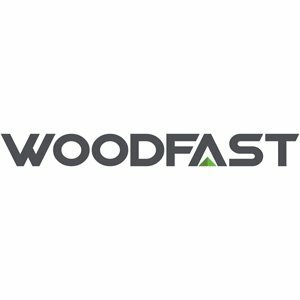 Our aggressive investment policy compliments our product offer with globally integrated logistics, research and development and value added services at world best practice. Through investment in both people and capital equipment, The Sutton Group has built its reputation for servicing all sectors of the Tool market to the highest possible level. We have been manufacturing quality cutting tools in Australia since 1917 and the fact that we are manufacturing in Australia is becoming an important part of our message. Sutton Tools is a proud supporter of the Australian Made Campaign. Promoting Australian Made tools is about more than raising awareness of quality products – it’s about encouraging growth in the Australian Manufacturing Industry. Sutton Tools supports and promotes Australian made products, with the aim of creating more opportunities for all Australians. With the alignment to the Australian Made logo, Sutton Tools moves from strength to strength, continuing to reinforce that Sutton Tools is the only Australian production manufacturer of world quality cutting tools. Consumers want to buy Australian because they know the product commonly exceeds their expectations and will be made to Australian standards, and they know that by buying Australian they are helping keep jobs in Australia. Every dollar invested in products made here benefits our country in terms of factories and offices built, jobs created, goods and services purchased, taxes paid and welfare payments reduced. When buying Sutton Tools products that carry the Australian Made logo (the most trusted and recognised symbol for products that are truly Australian), you can buy with confidence, knowing they are good quality, genuine and authentic. In China, We're the most professional, the biggest manufacturer & exporter of Auto-Darkening Welding Helmet. We have been in this line Since 1984, and established Tecmen Electronics Co., ltd. In 1988, This company began with an innovation that responded to customer needs. 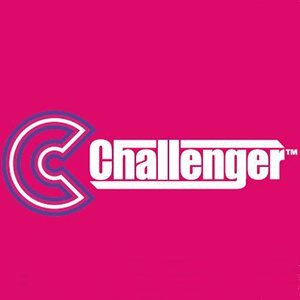 And now, The Tecmen become one of the main players in the worldwide market. The Tecmen specially focus on researching, developing & manufacturing all kinds of Auto Darkening Filter, and Mask products. Now, The Tecmen own a super professional workshop with 14,000 square meters, 195 employee; And a professional R&D team with skilled senior engineers; Also having the most advanced inspecting, researching instruments used for our production inspect and R&D. Tecmen brand products are CE, GS, DIN, CSA, ANSI, AS/NZS approved already under newest standard. Tecmen is first Chinese manufacturer , gained the DIN Plus, GS certificates with best possible optical test results. 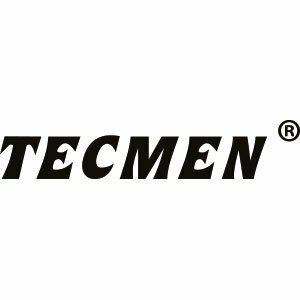 When TECMEN products are on the job you can be assured you are safe and protected. The Tecmen products are very popular on the worldwide market, Because of its excellent reliable top quality level, and the most competitive price. We locate at Nanjing City,Jiangsu provice. Very closed to Shanghai. TECNA S.p.A., a company situated in Castel S. Pietro Terme (BO) - ITALY, has been working in the field of resistance welding since the beginning of the‘70s. 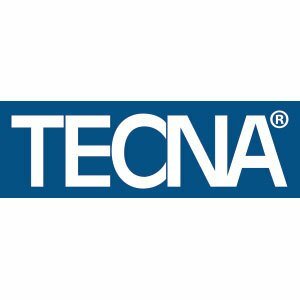 During these years it has become a well-known company specialized in the production of a vast range of spot and projection welding machines.TECNA develops on the whole all its products boasting a high quality level. All the steps from the engineering, to the production, to the sales through different channels according to the final destination of the product, are carefully followed up. The main fields of interest go from the car body repair to the industry, including automotive industry, to the metal structural works. 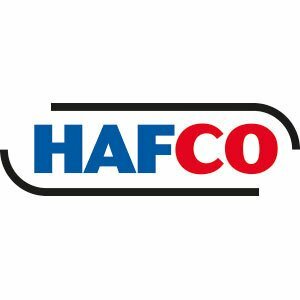 The latest edition of HAFCO branded products, specialising in accurate & affordable tooling and accessories, without the loss of quality & reliability. Welding Guns of Australia Pty Ltd. We are an Australian owned business established in 1985. We aim to provide quality welding and cutting products at realistic and competitive prices to the Australian market. 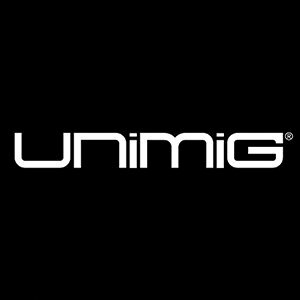 Our commitment to service and product development, utilising the latest technology, |means that we now offer the Australian market a comprehensive range of Mig, Tig, Arc, Plasma and Spot welding machines. Our product range enables us to provide all welding requirements from home handyman to heavy industrial applications. All the machines we sell are all manufactured to, and comply with, the latest European standards EN60974-1 and EN 50199, thus providing the operator assurance and certainty of safety, duty cycle performance and quality. 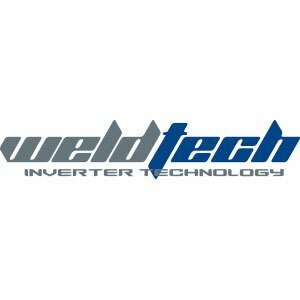 Welding Guns of Australia's sales staff, backed by our team of service technicians, maintain a large network of distributors and service agents throughout Australia to provide quick delivery and service backup that is second to none. 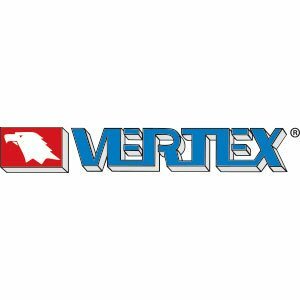 VERTEX MACHINERY WORKS CO., LTD was established in 1978. VERTEX - SPECIALIZE in MANUFACTURING high PRECISION ACCESSORIES for MILLING & GRINDING & LATHE MACHINE & MACHINE CENTER. VERTEX HAS 10, 000 m2 FACTORY LOCATED INSIDE CENTER OF FENG-YUAN CITY, TAICHUNG, TAIWAN. Regarding TO VERTEX - MARKET Sales, 70% is foreign and 30% is domestic. According to TAITRA - Taiwan External Trade Development Council, VERTEX - is the LARGEST, BIGGEST MACHINE TOOL ACCESSORIES MAKER & EXPORTER in Taiwan. VERTEX’s Spirit is - ACCURACY & SPEED & RESPONSIBILITY & COOPERATIVE. "CARES – Cooperative Accuracy Responsibility Speed"
VERTEX also pay attention to sufficient stock to make short delivery and supply HIGH QUALITY - VERTEX PRECISION products to give customers more confidence and satisfaction. VERTEX - IS not only a ACCESSORIES/TOOLING MANUFACTURER but also a reliable business PARTNER. Weldclass® Welding Products is an importer and wholesale supplier selling welding and industrial products to independent distributors in all states and territories of Australia. The Weldclass® distributor network includes retail outlets and suppliers of: welding, engineering, industrial & mining products, hardware, agricultural supplies & more. 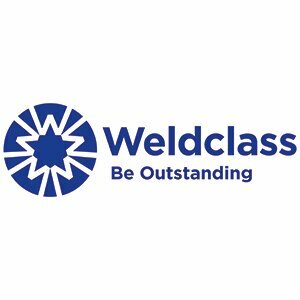 Whether your involvement in welding supplies is big or small, Weldclass® can offer a package and range of product to suit your needs. To find out more please contact us to discuss your individual requirements. 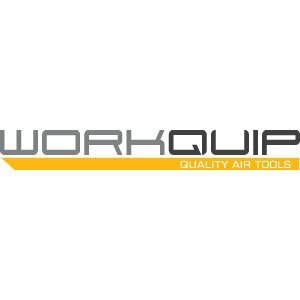 WORKQUIP is a nationally operated wholesaler and distributor of Air Tools, Spray Equipment, Abrasives and Car Care Products. 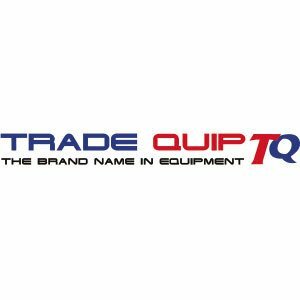 The Company trades nationally throughout Australia through a network of resellers offering branded products that are positioned as trade quality. 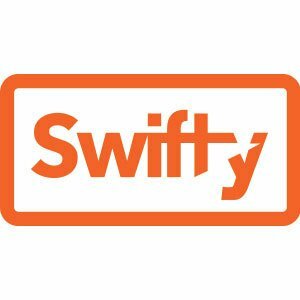 We have developed a reputation for providing quality products at reasonable prices, a high level of technical support and excellent service. As a company we have aggressively developed our product offering, brand selection and service in order to meet customer needs. We have continued to invest in marketing, product innovation and development, infrastructure, systems and most importantly our people. Much has happened over the years as the Company has grown to what it represents today. 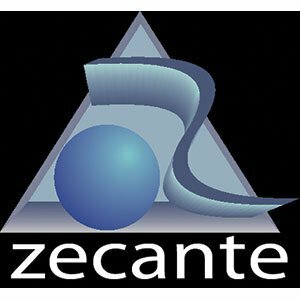 Zecante is a New Zealand based company that delights in inventing new ways to do things across a range of industries. Most of the work is commissioned by large companies looking for a custom solution to a specific job. Some products are made for a specific market and fewer still are made for the mass market. This site deals with those and we are proud to introduce these innovative, patented products to the global market.